I am back with another Top 5 Wednesday! If you want to check it out, you can go to the Goodreads group and read more about it. This weeks topic is top 5 books with blue covers. Basically, I am just picking out my favourite covers that are blue! I am going to try and separate the story from the cover, and pick books based just on cover, not necessarily the story. 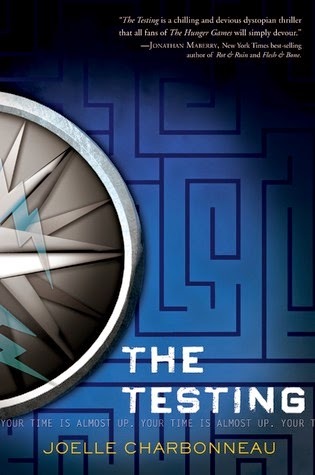 I think that the cover to Joelle Charbonneau's The Testing is so cool. Its got a funky maze and some lightening bolts and stuff, but the best part is that the actual hardcover book is SUPER shiny! Like blindingly shiny! What would a post be around here without a Hunger Games book! 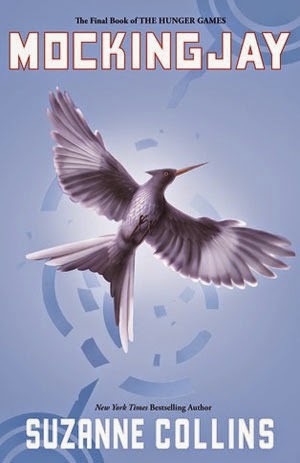 Luckily, the third and final book Mockingjay by Suzanne Collins is blue! I just love all the Hunger Games books and how all the covers match. I love the shade of blue used as well as the overall design of the cover. Again, how could I not talk about a major dystopian like Divergent by Veronica Roth. I love the cityscape on this cover and I think that the blue is subtle but still makes the cover pop. 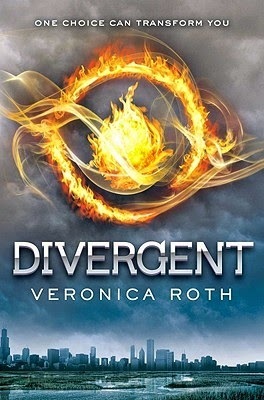 I also really love the "Divergent" font. 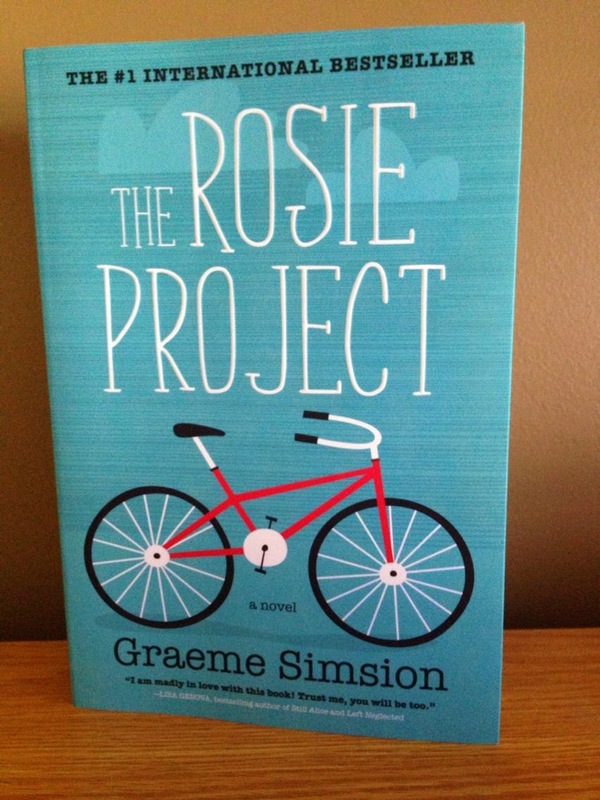 I didn't really like The Rosie Project by Graeme Simison but I do really love the cover! The colours are just perfect and I love how the font and bike just pop! Of course, I cannot talk about my favourite covers without mentioning one of Rainbow Rowell's books. 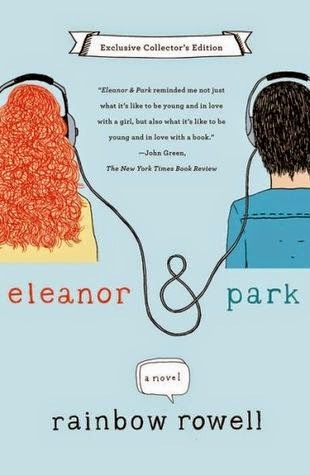 I just love the blue they picked for the exclusive collectors edition of Eleanor and Park by Rainbow Rowell. Whoever is in charge of cover designs for all of Rainbows books does such a good job! Alright so there you have it! Another T5W down. See you next week for another T5W! Check out other Top 5 Wednesday-ers posts/videos!